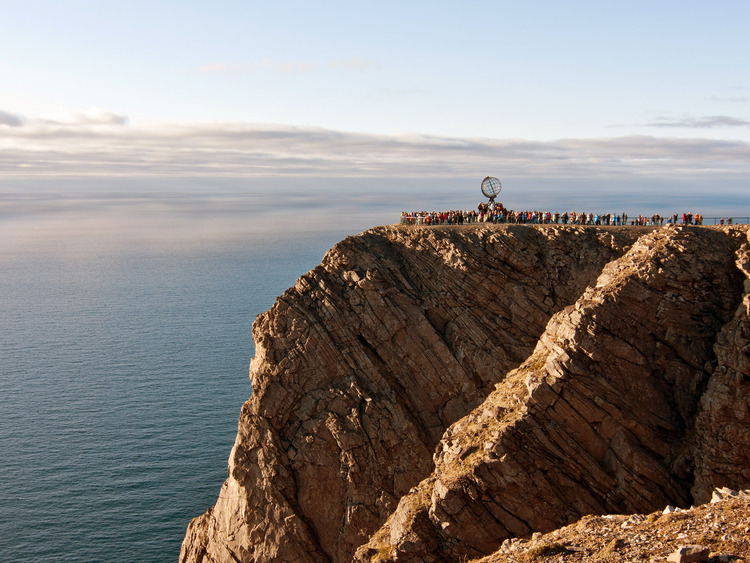 This excursion takes us to the edge of a continent and the start of a new adventure: welcome to North Cape, the most northern point of Europe. Our excursion will take us to North Cape, the most northern point of Europe and a place that, for hundreds of years, has attracted generations of explorers from all over the world. It represents the final frontier with the Arctic Ocean and is one of the best places in Northern Norway to observe the Aurora Borealis. Here we find the Nordkapphallen, a tourist visitor centre which offers plenty of space in which to enjoy the spectacular landscape. We can relax, take a coffee break, do a little shopping and visit the planet's most northerly chapel. On the top floor of the building is a restaurant that offers an incredible view of the uplands and the infinite ocean. The site is located 307 metres above sea level and there are always gusty winds. We therefore recommend that you wear a jacket. The exclusion includes coach transfer to North Cape. This excursion does not include the services of a guide.